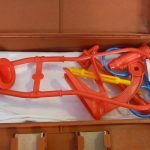 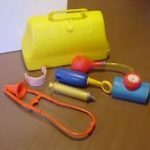 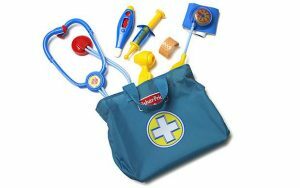 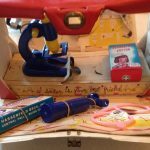 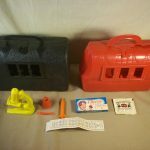 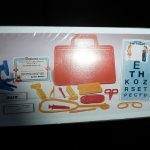 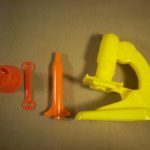 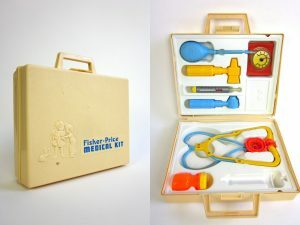 Few childrens toys are as relatable to adults as the Fisher Price Medical Kit. 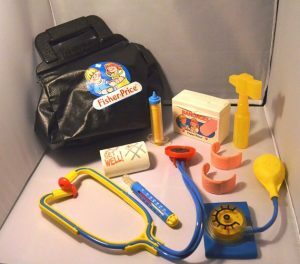 It’s nostalgia overload. 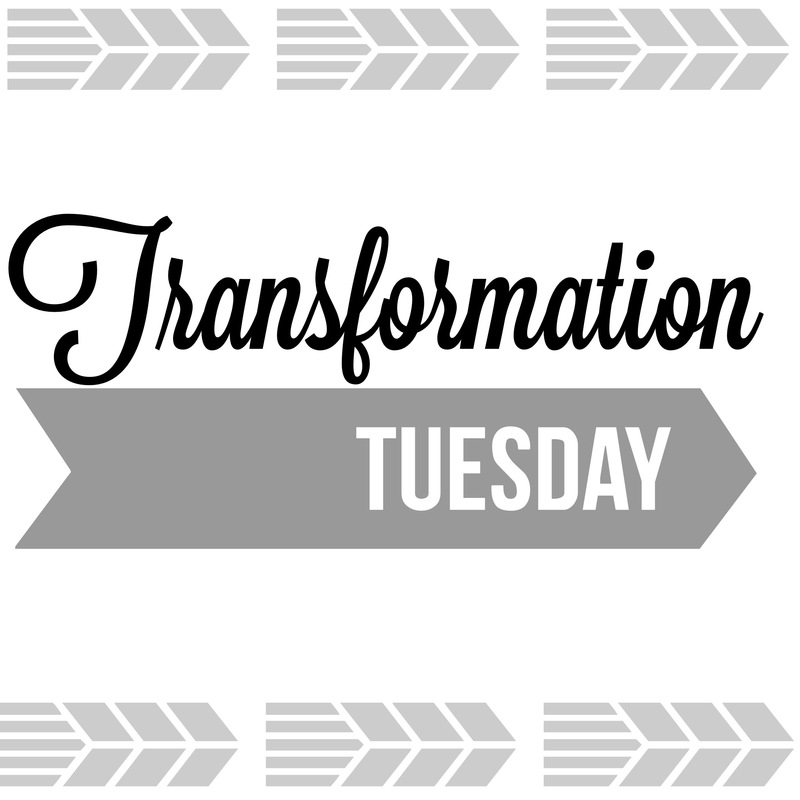 It’s gone through a few changes through the years. 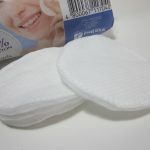 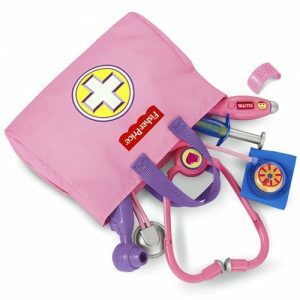 For example, I am not pleased with the new marketing of PINK for girls. 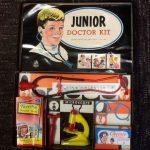 Note the subtle and not so subtle differences such as no Bandages box, thermometer changes, no more medicine bottle, no arm cast, lack of charts, no reflex hammer and no more apron. 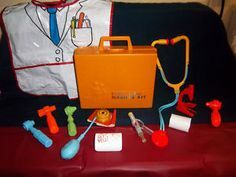 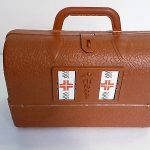 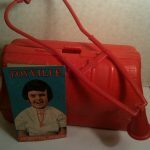 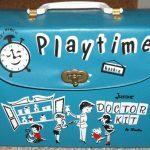 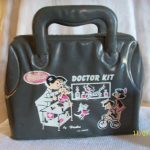 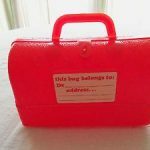 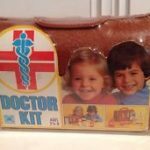 I remembered a black plastic doctor’s bag when I was a kid. 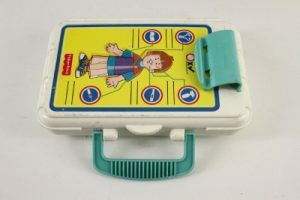 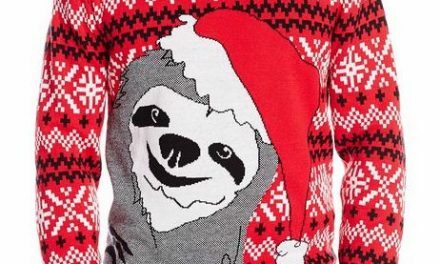 I remember the clasp clearly. 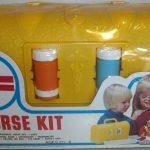 I could only find one made by Hasbro. 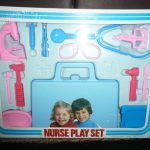 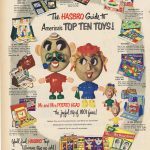 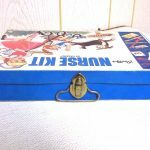 So while I remember Fisher Price kits quite well, my main memories were actually Hasbro kits. 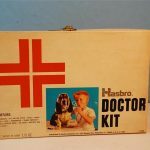 And not for nothing, but Hasbro kits were BETTER. 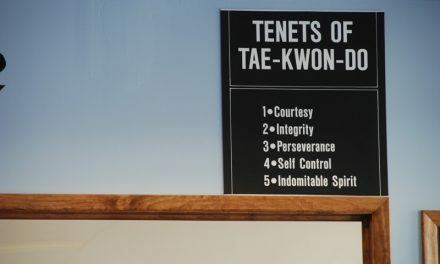 Just look for yourself. 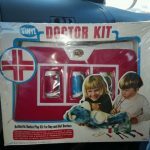 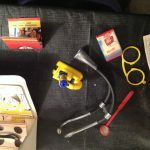 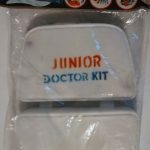 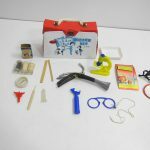 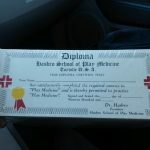 They had doctor kits, nurse kits and junior doctor kits. 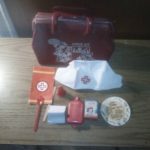 And look at all the goodies inside. 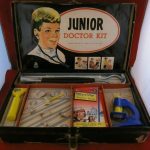 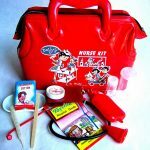 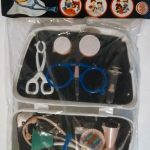 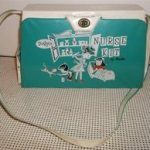 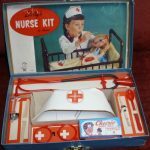 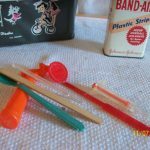 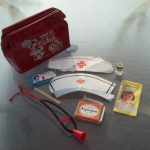 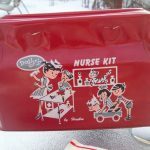 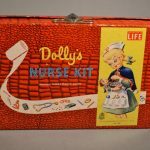 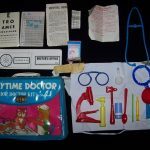 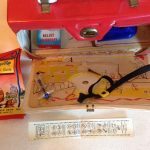 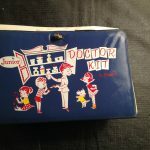 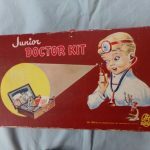 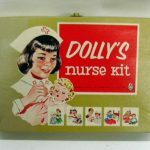 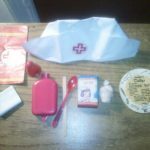 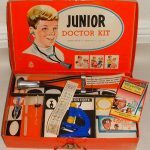 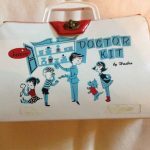 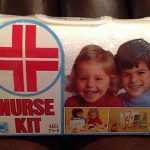 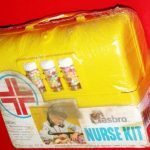 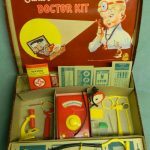 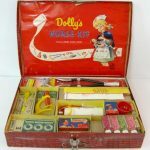 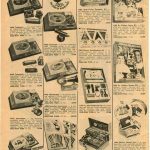 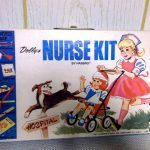 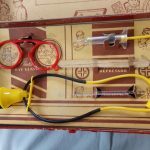 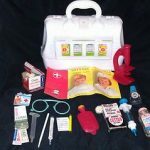 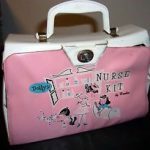 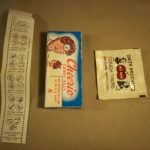 Hasbro used some gender differences (color and occupation) of their medical kits starting in the 1940s. 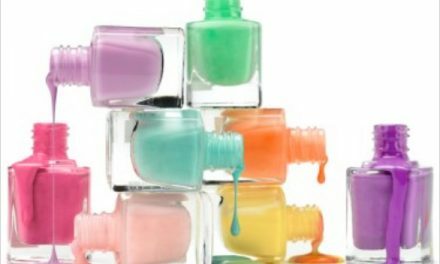 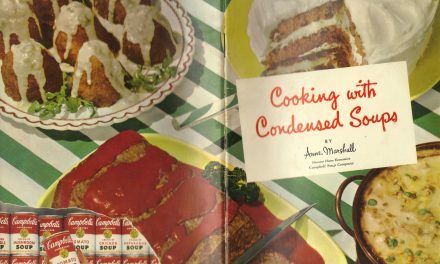 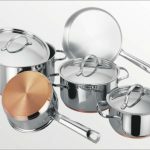 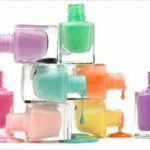 But even they didn’t overdo it and tended to use gender neutral colors most often. 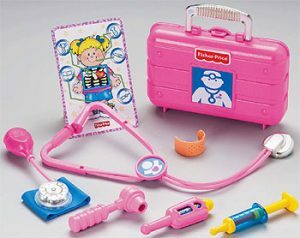 Fisher Price should take note and stop pinking up their toys. 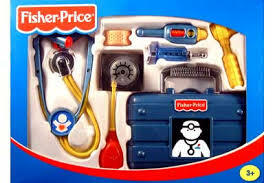 Before it seems that I’m bashing Fisher Price, it’s not my intention. 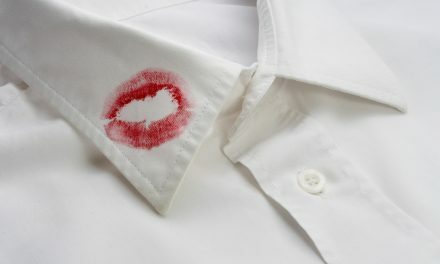 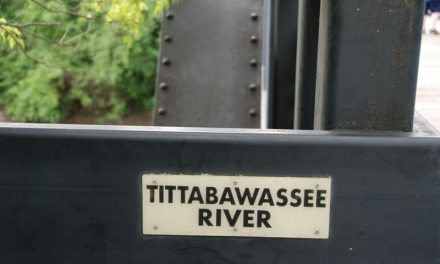 I adore the brand. 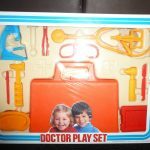 It’s just the pinking of toys bothers me.